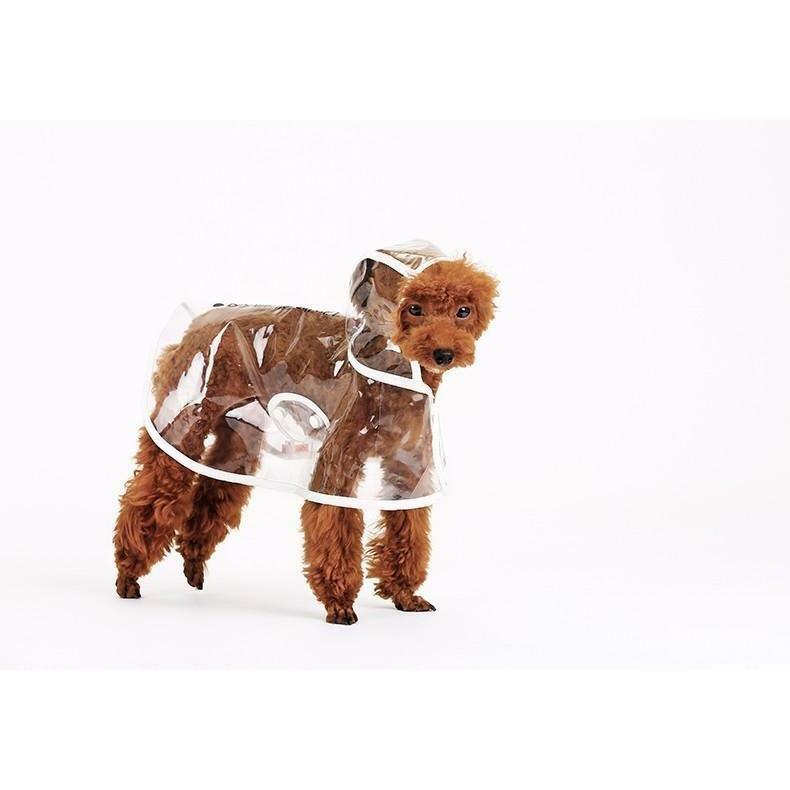 Let your precious pooch’s true colors shine through while he stays clean and dry in this Clear Dog Raincoat. 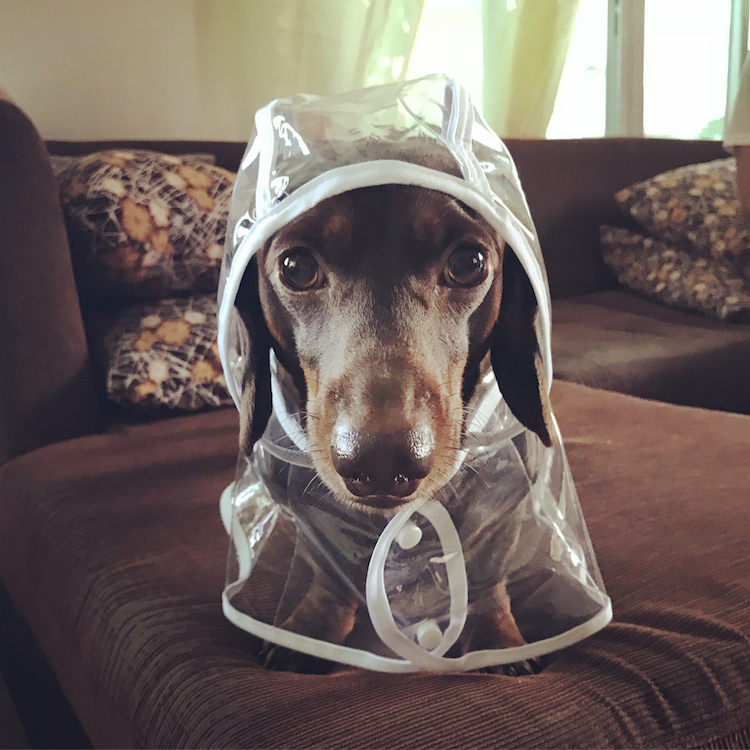 Made with 100% vinyl, this transparent waterproof coat is lightweight, durable and paw-fect for use at home or while traveling. The retro-inspired design features white edge seams all around with a button closure. 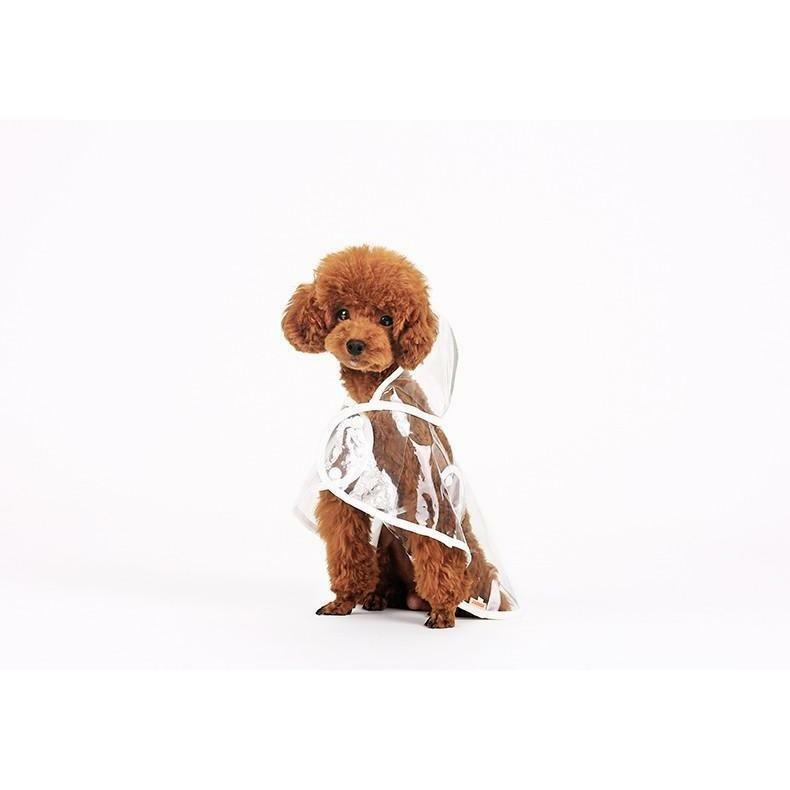 A must-have in any fashion-forward pup’s wardrobe, this stylish coat features a broad assortment of sizes to fit dapper dogs of all breeds and sizes. 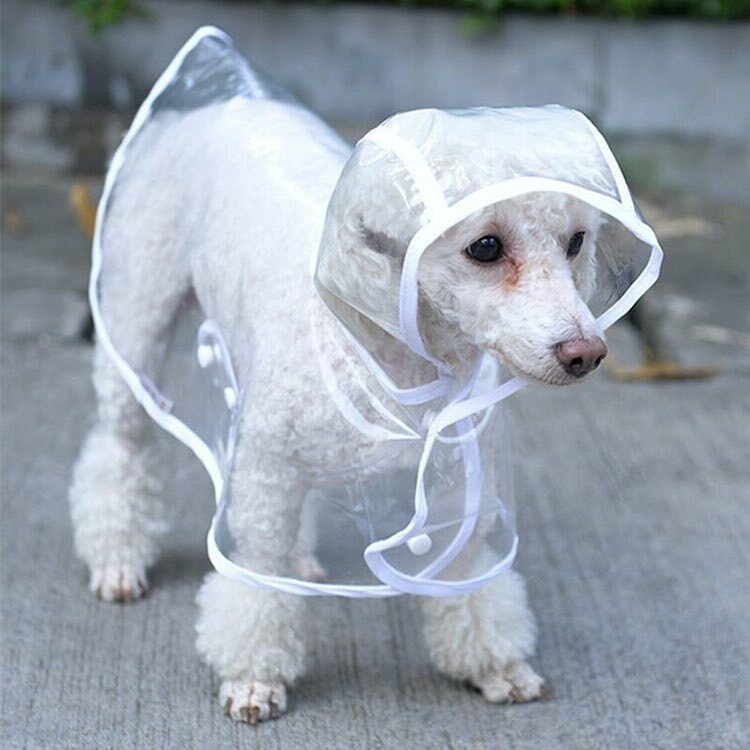 Most fashionable way to keep your dog dry in the wettest weather. 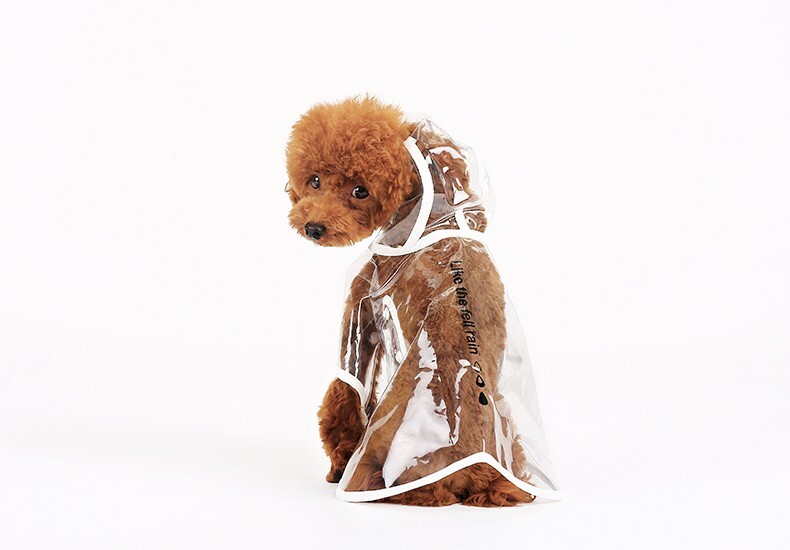 Transparent raincoat lets your pooch’s true colors shine through while he stays clean and dry. Vinyl construction is waterproof, lightweight and highly durable for long-lasting use. Retro-inspired design features white seam edges and is ideal for use at home or while traveling. Easy to slip on and slip off. The button closure and adjustable chest provides a snug, comfortable fit that’s easy to put on and take off. 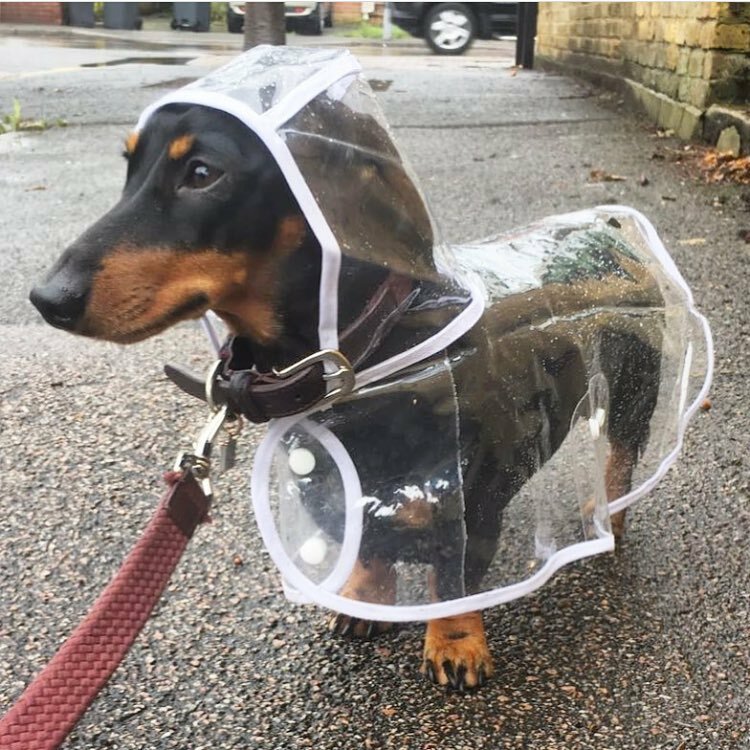 Fits most dogs. Available in sizes from extra-small to extra-large. Easy to clean. 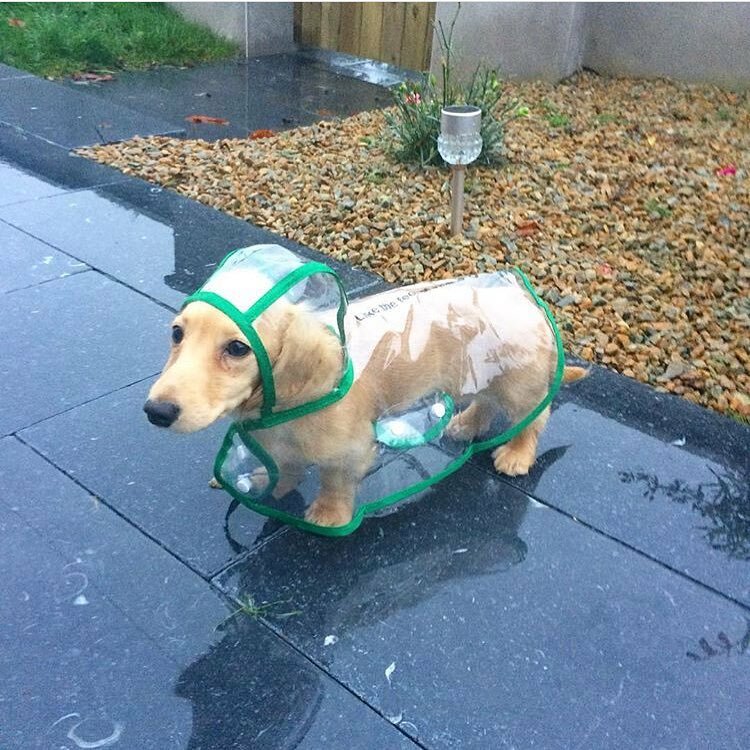 ﻿The slicker is easily wiped clean when dirty.